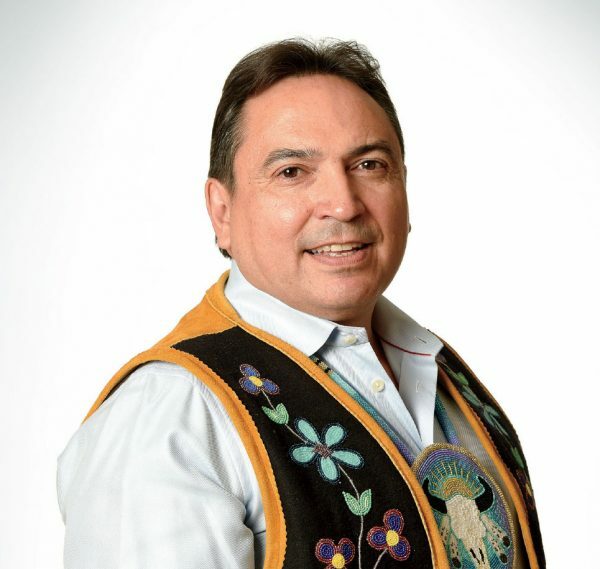 Perry Bellegarde is national chief of the Assembly of First Nations. He is from Little Black Bear First Nation, Treaty 4 territory, Saskatchewan. He served as chief of the Federation of Saskatchewan Indian Nations and Saskatchewan Regional Chief for the Assembly of First Nations. He has also served as the Tribal Chair of the Touchwood-File Hills-Qu’Appelle Tribal Council, Councillor for the Little Black Bear First Nation and chief of Little Black Bear First Nation. First Nations culture is rooted in storytelling. Since time immemorial, we have passed on knowledge from generation to generation through our Oral Traditions to teach our beliefs, history, values, practices, customs, rituals, relationships, and ways of life. Our culture and the teachings of our ancestors are preserved and carried on through the words of Elders, leaders, community members and young ones. These teachings form an integral part of our identity as nations, communities, clans, families and individuals. 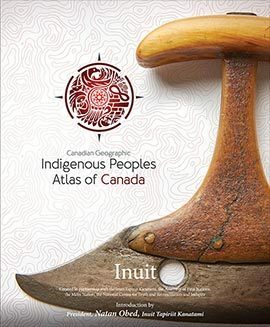 Welcome to the stories of our people, beautifully showcased in this incredible Indigenous Peoples Atlas of Canada. We are honoured to gift you with a remarkable and breathtaking array of our experiences and worldviews. First Nations stories can vary from the historical to the sacred and are often entertaining and humorous. Many of our stories focus on social, political and cultural experiences. Canada’s history has not been kind to our people. And yet, our resilience as a people is astonishing. Sit down by the storytelling fire and immerse yourself in our world. 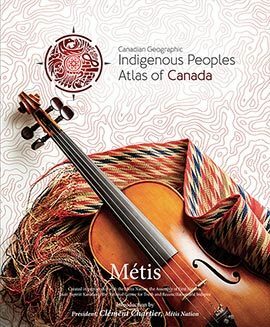 Welcome to the stories of our people, beautifully showcased in this incredible Indigenous Peoples Atlas of Canada. 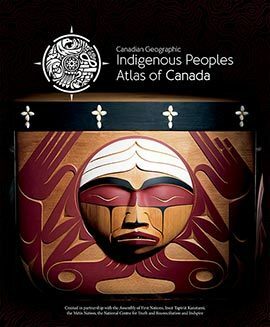 The stories of our people from coast to coast to coast across Turtle Island are represented within these pages. The richness and diversity that exists in our nations is reflected through the voices of our brothers and sisters who have shared their personal experiences, their stories about family and nation and their hopes and dreams. Our stories are centred on the land because our identities are intrinsically connected to the land and our languages. This is beautifully described in one of the stories about traditional place-naming practices in Cree territory. Our sovereignty, our nationhood, our past and our future are imbedded in our traditional practices, from eel harvesting in Mi’kmaq territory, to cutting Łuk in Gwich’in territory, to salmon as a culinary marker of ceremony in Secwepemcúlecw territory. Spirituality is not typically discussed as a matter of practice, yet it forms the core of First Nations worldviews. Within these stories, we introduce you to our ways of knowing and being that guide our approaches to resource development and governance from the experiences of the Anishinaabe and Tutchone-Athabaskan. Culture is not static, and our challenge is to navigate our worlds in ways that respect and honour traditions but also make room for growth and evolution. The balance of blending modern and traditional worldviews is reflected in a variety of captivating stories that include Dene music and drumming and the traditional Haudenosaunee game of lacrosse. We also provide a glimpse into the challenges of maintaining our connections to the land and culture as part of the urban experience in Treaty 1 territory. These stories capture the authenticity and integrity of our teachings and ceremonies. For us, our stories are not fiction, but rather an acknowledgment that human life is rooted in the stories we live by. They are medicine. First Nations healing generally centres on ceremonial practice, and all ceremony is rooted in teachings and stories. These stories uplift and inspire and provide healing for all of us. It is important that the spirit of reconciliation flow through all areas of Turtle Island in order to set a positive course for the next Seven Generations. It is important we get to know each other, appreciate and celebrate our diversity, and build bridges of understanding. I lift my hands up to the incredible First Nations writers that took the time to share their stories from across this land. I lift my hands up to the dedicated team that worked so hard to pull this project together. We look forward to sharing this journey with you.